Nexen is a brand that a lot of people in Canada have never heard of, and until a few years ago, neither had I. The only place most people would see them is at Walmart, who I suspect is that largest Nexen retailer in Canada. When it came time to buy my last set of winter tires, I was offered a set of Nexex Eurowin tires at a small tire dealer in my area. After struggling to find some reviews online, I discovered that Nexen is a pretty well regarded brand in Korea and offers some pretty good tires at great prices. I bought the Eurowins and have been very happy with them. That said, the Eurowins are more of a performance winter with good dry road, wet, road, and ice performance. I want something with better deep snow performance this time, so I decided not to go with the Eurowins. After 5 winters, they will be used as all seasons for at least two more seasons. How’s that for treadlife? Anyway, although the Nexen Eurowin isn’t going to be the tire this time, Nexen has the Winguard 231 available to step in. The Winguard 231 is a directional tire like the Eurowin, but it definitely has wider channels for gripping fresh snow than the Eurowins do. The Winguard 231 also seems to be made of a softer rubber compound than the Eurowins. That’s great for winter traction, but the treadlife is not likely to be as good as with the Eurowins. It’s not easy to find reviews online of Nexen Tires – at least in English – but the reviews I have seen of the Winguard 231’s are generally positive. Unfortunately, Nexen’s product page for the Winguard 231’s is pretty light on details so there’s not much to be found there to help make a decision. Anyway, I was quoted $91 for the Nexen 231’s in 205/55 R16 at my local Walmart – the second cheapest tire I looked at in that size. After my great experience with the Nexen Eurowin’s, I decided to give Nexen another try. As I mentioned above, I wanted a little better snow performance than I had with the Eurowin’s so I opted for the Winguard 231 this time. I liked the Winguard 231’s directional tread design, the fact that the groove pattern was more open that the Eurowin without being “luggy”, and the softer rubber compound that they were built from. All that said, the primary selling feature of these tires is that they are of good quality and a great price (for Canada). I don’t think that the Winguard 231’s are the best winter tire available in this size, but I do think they offer excellent value for the price. I purchased the Winguard 231’s from my local Walmart for $91 per tire. Walmart’s in my area offer installation and balancing for $12 per tire. Unfortunately, Walmart doesn’t offer a lot of appointments so the way most of their customers end up getting their tires installed is as a “walk-in”, which can mean a long wait. Luckily, after the work order was written up, my local store didn’t make me wait around to keep my place in line. I was able to give them my mobile number and they called me in when they were almost ready to start on my work order. Incidentally, Walmart was also able to fit me in at the same time to have the Nexen Eurowins that were removed from my winter steel rims installed on my summer alloy rims. As I said in my earlier article, I have used those Eurowins for 5 winters and they still have probably one season of winter-ready tread left. I should be able to use them as summers for two more seasons. Add that treadlife to their solid performance characteristics and I must say I am impressed. Back to my new Nexen’s…My initial impression of the Winguard 231’s after driving with them a few days is that they are much “softer” than the Eurowins, and a whole lot softer than the H-rated all-seasons the car came with. I scared myself a little bit making a lane change at 100 KM on the highway on my way home from the install at Walmart. That said, the day they were installed it was 13 degrees Celsius and raining, and they still had their maximum tread. As the weather has cooled and I have gotten used to them, I am no longer noticing that softness as much. As far as wet weather traction, I have no complaints. They perform as I would expect. Finally, I do not find them terribly noisy – a common complaint with many winter tires. We got a little bit of snow here today, but no accumulation on the roads. I can’t wait to try out the Winguard 231’s in nasty winter weather. When that happens, I’ll give you an update. The Winter Slalom KSI is a relatively new offering that made its first appearance in North America over the past couple of years. It replaced BF Goodrich’s original Winter Slalom which was a traditional old luggy winter design that had gotten pretty long in the tooth. The KSI stands for Key Snow and Ice, which would would seem to indicate it is designed for a balance of snow and ice performance. Reading the Winter Slalom KSI product page on BF Goodrich’s website, it would seem that BFG was going for exactly the kind of balanced performance I mentioned above, with an eye to reasonable treadlife. Reviews for this tire on 1010 Tires were generally positive. Prices for the BF Goodrich Winter Slalom KSI in 205/55 R16 range from $150 to $160, and in 225/65 R17 they are $153 to $170 . BF Goodrich is offering a $40 mail-in rebate on a set of four Winter Slalom KSI’s, as long as you don’t buy them at Costco or Chrysler. To start with, the KSI has a more open tread design than the Xi2 which I suspect will deliver winter performance that is balanced between snow and ice performance. Despite the marketing on Michelin’s Xi2 product page indicating that the tire is good at everything, when I look at the tread pattern, I can’t help but think that the Xi2 is heavily weighted to ice performance at the expense of snow performance. Secondly, the KSI has a deeper tread than the Xi2 (12.5 versus 11/32″ of initial tread depth in this size), which I think should result in better performance in a variety of winter conditions, including slush and rain. One of the complaints I have read about the Xi2 is that it tends to hydroplane more than other winter tires, no doubt a result of it’s tight, shallow tread design. The other thing the KSI’s deeper tread should help with is tread wear. That said, although it has a fairly shallow tread for a winter tire, the Xi2 is the only winter I know of that offers a tread life warranty (60,000 KM’s), so I suspect there is some technology being deployed there to increase tread life. Finally, as I alluded to above, the KSI is offered at a much better price than the Xi2. Depending on the retailer, in the 225/65 R17, I generally saw the BF Goodrich Winter Slalom KSI offered for 20% to 25% less than the Michelin Latitude X-Ice Xi2. I purchased the BF Goodrich Winter Slalom KSI’s today from the parts department of a local Toyota dealership for $151.04 per tire and BFG is offering a $40 mail-in-rebate. I will have them installed and balanced at a small performance and aftermarket shop for $10 per tire. Despite the fact that the larger tire shops in my area were booked up for more than a week, these guys do lower volume, so I was able to get an appointment for the next business day. You might want to consider a shop like that in your area if your local tire shops are too busy to fit you in. Since I have not had the KSI’s installed yet, I can’t give you any initial driving impressions. My initial impressions upon seeing and handling the actual tire is that the KSI’s are definitely made of a soft rubber compound with deep siping. In addition, although the tread pattern is much more open than the Xi2, the KSI’s seem like they should not be particularly noisy for a winter tire. When I do get a chance to road test the KSI’s, I will provide an update. So there you have the winter tire selections I made. These choices might work for you as well, but please be sure you pick a winter tire based on the conditions in your area, the type of vehicle you are driving, and your driving style. Better hurry up though, the snow is ready to fly for many of us, and has already started flying for many others. Hello, just found your site while searching around for winter tires and i’m in NS as well. How did you make out with those Nexen Winguards? I’ve been considering a set, but I see the lastest ones are made in China vs Korea as before. They worked out OK. They certainly are less of a performance tire on dry pavement than the Eurowin’s, which I am now using for summers. That said, overall snow, ice, and slush performance were better than the Eurowin’s, as I expected. Tread wear is hard to gauge as I only put about 6000k on them. Follow up on the KSI’s? I have a set of worn out x-ice, and have never had a problem with the snow traction, but wow they are expensive… these BFG’s look good. Any regrets? The performance was very balanced as I expected. Good on snow, slush, ice, and dry pavement. Pretty quiet for a winter. Only one winter on them so far but I don’t see any more tread wear than I would expect after 15,000 KM’s – maybe little less. I just bought some Winguard 231s from Wal-mart (here in Winnipeg) but have not had them installed yet. Did you give any consideration to getting your tires studded? I mainly do city driving, but the roads can get pretty nasty here in the winter. If I lived somewhere where ice or packed snow stayed on the road for extended periods I would definitely do it. Here in Halifax we get a real mixed bag of winter weather but for the majority of winter days we drive on dry or wet pavement and I believe studs actually reduce dry and wet road traction. Many people here get studs installed but I wonder if there is really a net benefit in our climate. We have commuted between South-Eastern Ontario and Tremblant, Quebec for decades, the last 7 years of which have been on Kumho i-zen stud 195/60/14’s on “vintage” VW Golf and Jetta. Given the terms of reference in your article we understand why they are not included, however we can say that if they are available to any readers, they are a remarkable value and very durable. Performance wise, they are like having “paddle-wheels” on the car as they are “severe” snow rated and will dig through almost anything, but more importantly for the bulk of average winter driving, they are quite transparent, meaning little felt rolling resistance in slush and standing water at highway speeds. 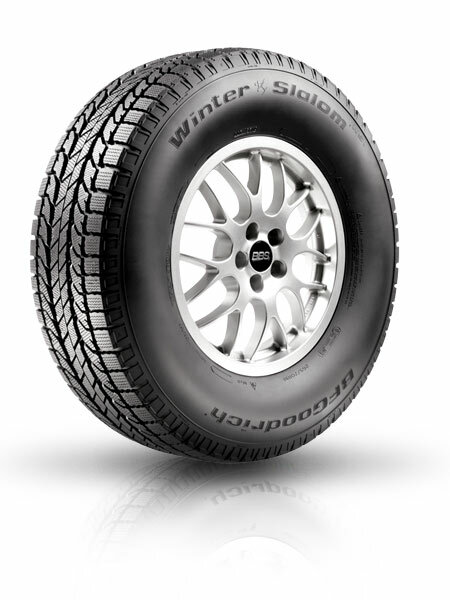 Winter tires often will cause anywhere from a mild to profound pulling sensation to through the steering wheel on the side encountering the deepest slush or water, but the Kumho’s demonstrate much less of this characteristic than average which gives them a sense of superior control and driver feedback. The reason we’re writing today though is that we were searching for “Tread-wear Indicators” as one element of the purchase decision for a set of Nexen Winguard 231’s which have a definite price advantage for todays budget. Realizing that manufacturer’s “Tread-Wear Indicators” are somewhat subjective, in that they are probably most relevant within a brand rather than across the the whole industry, what we were looking for was to compare “Tread-Wear Indicators” for Nexen Eurowin and the Winguards, but this info does not seem to be available. It’s been years since we’ve had to purchase winter tires and perhaps things have changed regarding “Tread Wear” spec’s, so any input to update this potentially useful factor in purchase criteria would be welcome. Do you still check this blog? If so, I am in the same boat with a 2012 Sienna base model FWD. I am leaning towards the 225 65 17. I take it that the extra 1/4 inch in height is o.k.? There is little difference in cost with the 215s (ie. $1/per tire). I am limited in my options here (ie. Fountain Tire) as I’m in a small town and they don’t carry the stock winter (ie. 235 60 17). I will most likely go with the Ultra Grip x-ice, with the 4 for 3 deal it’ll be $150/tire. Also, how do the steel rims work for you? Is there much road noise? Hey Robert. Your initial question is certainly valid. I have not spent as much time on this blog as I would like recently…life keeps getting in the way :-). The height of the tires is fine. If you use the tire calculator at 1010Tires.com (http://www.1010tires.com/TireSizeCalculator.asp) to compare that size to your stock size you will notice there is only a 1.44% diameter difference – well within the 3% recommended limit. The steel rims I got at Costco worked out fine, but the offset is different that the stock alloys and I can see it when I look for it. That said, I don’t notice a difference in driving dynamics beyond the typical difference between all season and winter tires. I was shopping for Winter Tires for Montreal. Honda Civic 95 (175/65-R14). My garage guy sold me this morning 4 Wanli S1086 Winter Challenger + installation for 337$. I found out later this afternoon that Canadian Tire liquidates the Goodyear Nordic at 63$ because they will no longer be available for my size after. What would be your opinion regarding the situation? Am I better off with the Wanli? Or should I go ahead with the Goodyear even though they will be discontinued? I forgo to add, the 337$ is the all included price. The 63$ is before tax & fees. If you do the math, the prices gets to be the same for both models! I tried to find reviews about the Wanli and there is not much said still. I think either of those tires are lower end winters. That said, either is better than using all season’s in winter. The old Nordic is an old style luggy design that is noisy but great in fresh snow. The Wanli has a more modern design but I have heard it does not use softer winter rubber compounds. I think if you want to keep the price down,either of those will work. The Nexen Winguard 231’s would be worth considering as well.